Published: Dec. 2, 2018 at 07:19 p.m. Published: Oct. 7, 2018 at 06:27 p.m. 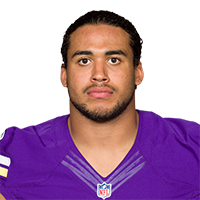 Published: Dec. 17, 2017 at 05:44 p.m.
Minnesota Vikings linebacker Eric Kendricks takes his first interception of year to the house.